There's always a handful of teams you should bookmark on NFL Game Pass. Not because they're ascending to greatness like the Panthers, or because they're endlessly atop the standings like the Pats, or even because their quarterback belongs on a daytime soap like the Texans, but because they're strangely interesting. You know, in a Charlie Whitehurst sort of way. It's the Big Apple. It's the beloved Big Blue, one of the most unloved teams outside of New York. That means big drama. What further reason do you need? Old Man Coughlin is on gardening leave, there's new and menacing recruits, and there's still a Manning quarterbacking. So you know, buckle up, paisano! How one of the sport's most iconic teams went from Super Bowl contender to outright dysfunction is befuddling. Teams like the Niners usually find their way, right? It's in their DNA: Montana. Rice. Craig. Young. And now ... Gabbert? Well, maybe. When your second-stringer gets more headlines than your starter, you know things are about to get weird. Being a Fins fan in 2016 is like being slapped with a groper. Hard. Who's running this club, anyway? That cadre of scantily clad celebrities? And why doesn't the dolphin in the logo wear a helmet anymore? That's clearly the wrong message in the concussion era, isn't it? Then there's young Tannehill. Can he throw down field, yet? The answer to that one is yes, provided you have no target in mind. All that said, what a mix of story lines. Like a musty old bear at the city's famous zoo, the Chargers are constantly worried about moving house. Who moves from San Diego though, outside of a crazy NBA owner? Is this even worth discussing? Just sit back and sip on a Yellowtail, and watch Rivers zip the ball into the sun splashed horizon. New York Jets - FitzMagic, or fits of panic? Jacksonville Jaguars - Still don't get the two-tone helmet. Do you dip it in water or something? Chicago Bears - The offensive line has been sured up. Over to you Jay. Houston Texans - Will Oz play, or bail to watch his girlfriend sing in the choir? Power rankings are a strange and cruel beast, sort of like Rex Ryan after a Quarter Pounder binge. Often arbitrarily constructed, they tend to be short on logic and long to digest. Just how official are these things, anyway? About as official as Adam Gase's genius status, we'd say. So how can we combat them? How can we reorganise what's been so carelessly jumbled? (I feel your pain Matt Warren of Buffalo Rumblings. We're here to help). Let's just tackle it one team at a time. And what better place to start than Buffalo, where the home town Bills are treated like sons, and yet ranked like SOBs by people with access to the internet. For example, Bleacher Report has the Bills 22nd on its before week 1 rankings. They also have the Jags 17 and the Raiders at 11. So, you know, why stop there? Why not say the '79 Bucs are among the greatest teams of all time? SB Nation places the Bills slightly higher at 18, but then say the Jets are just one better. For a more official ranking you could turn to NFL.com, which has the Bills in 16th, with a nice blurb from Elliot Harrison about making the club great again. USA Today seems less optimistic about Buffalo, starting with the line, 'Summer was unkind to Rex Ryan ...' Woah. Take it easy, America's paper. We were just joshing. Now you're taking it too far. They have the Bills at 19. The World Wide Leader is slightly more generous, suggesting an 8-8 season, with a 16 ranking. Still ... does Boomer know about this? Yahoo targets holes in the defence at season's open, with a harsh 20 ranking. And don't expect any support from the gang at Fox Sports, who say it's playoffs or bust for Rex and Co. They've dropped them down to 22. Then there's everybody's favourite online writer, Mike Florio, who has the guts to stash Buffalo at the bottom of the heap at 29. Don't fret Bills Nation, Mike has the Dak Prescott-led Cowboys at 14 and the Sam Bradford charged Vikings at 11. There's no adequate way to interpret this behaviour, though there are like 25 different 'Talk' tabs across that NBC site, so maybe Mike's logging too many hours. The Bills won the off season; why aren’t they at #1? Football on Monday night seems a grand idea, no matter which way you dial it up. Unless you're Tony Robbins or Hugh Hefner, most weeks start with a thud, a cold hard realisation that work awaits, the clothes hamper is festering and dinner might well be frozen. Indeed, many of us need the relief of Monday night sports to ease us into the five day circus. But there's a problem: the ringmaster has found his way into our TVs to mess up Monday football, too. Take the first two Monday games of the upcoming NFL season: Steelers - Redskins, Niners - Rams. Sure, they're interesting enough teams, and I get it, an east coast match-up complimented by a west coast clash. 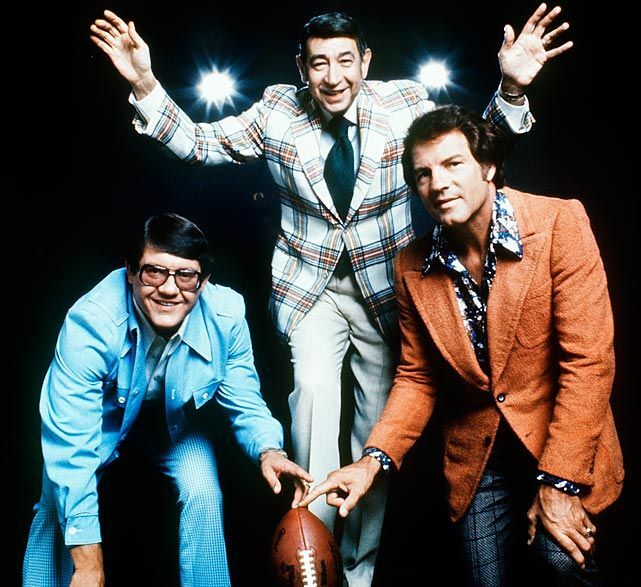 But this is the once legendary Monday Night Football! How did it all become so, well, pedestrian? Surely Giants - Cowboys would see more chips spat across living rooms. 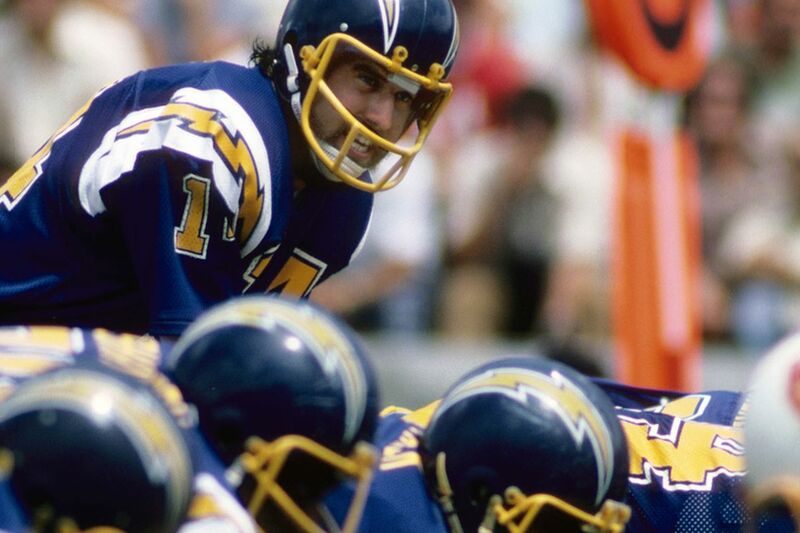 Chargers - Chiefs, too, would ignite some action. But there's a weird shift toward airing second rate contests, a trend that's making Monday sports fixtures feel blander than date night with Bill Belichick. It's the same issue with football in my backyard, the National Rugby League (NRL). Instead of being a beer cracking, after-work barbecuing extravaganza, Monday NRL games are really an afterthought. I'm not even sure most fans know it's on, and that's largely to do with it being a cable TV offering only. Perhaps the TV stations are just happy to lock big deals in with sporting codes and the games have become throwaway details. Or maybe with all the content flying around now, programmers simply don't know what constitutes a feature game anymore. Either way, rugby league won't be played on Mondays anymore and columnists are already rejoicing. Given its soft crowds, Thursday Night Football could well be next. The NFL can get away with a casual strategy because of the size of the US population, and more importantly, the sheer number of cable subscribers. NFL games attract massive crowds, both to the stadium and the box, so there's no real danger of losing fans over, say, a lazy Jags - Bucs game. Oh, they'll be watching, even with three sheets to the wind. In Australia, however, cable isn't as prevalent. Even if it was, I don't think fans care enough about Monday's night of football because the fixtures are rarely appealing, and consequently, crowds a smaller than at local kids pantomime. It's not a good look. One sporting competition that seems to have the gist of things is the English Premier League, which sometimes will serve up a Monday nighter for the ages. Take a recent affair between London rivals Chelsea and West Ham: The Telegraph called it a whizz-bang of a match. No messing around, just give the people what they want. The NFL equivalent might be heated iteration of Pats - Giants, or Packers - Bears. Not the Rams (sorry LA), just because you have a new stadium to show off. Or the Skins because, I don't know, it's an election year? Listen, you have to love the nostalgic themed intro by Peter Berg that ESPN's MNF now uses. It's perfect. I'm in. But the scheduling needs work. It needs to draw a throng and fill the stadium. It needs to set digital recording boxes into a frenzy. And certainly test a few marriages. The point of non-weekend football is to make it an event, right? You know, something you put your best undies on for that day. We have to want to rush home to kick off our shoes and fire up the grill. Otherwise it just ends up being something we click on and move past, eventually landing on something with more action, like The Bachelor.